Many business owners think biometric time clocks cost too much for the average SMB. Actually, this misconception is far more expensive. It prevents employers from getting one. It is the lack of a biometric time clock that jacks up of doing business. Why? Any other type of punch in device is susceptible errors. Sloppy employee timekeeping inflates labor expenses in numerous ways. If you think this is not happening at your business, you must believe that your employees are somehow different than other workers. The truth is that study after study verifies that wage theft is widespread among hourly employees. When you are paying wages for time not actually worked, you are losing cash. And your payroll budget is probably already your biggest expense. How Much Are You Losing? Studies by the American Payroll Association and other industry experts are sobering. They estimate that the amount of time employers overpay workers ranges from two to four hours a week per worker. For our example, let’s assume that you are paying an extra three hours a week per staff member. If your average hourly wage is $10, and you have 30 employees, the grand total is $46,800 dollars in extra wages each year. What biometric clock is best for your business? Call Baron Payroll today and we’ll help you find the perfect one so you can pay less for labor next month. Baron Payroll offers WorkforceHUB, the unified Human Resources portal that makes it easy to optimize the performance of your managers, employees, and business. WorkforceHUB includes Baron Time, Baron Scheduling, and Baron Mobile. We’ve just added onboarding, benefits enrollment, performance reviews, and employee engagement! WorkforceHUB is developed for busy employers like you who need to streamline scheduling, automate time and attendance tracking, maintain regulatory compliance, and lessen labor costs. How much can you save? Check our Baron Payroll ROI Calculator. We can get you up and running with Baron Workforce Management Suite in minutes. Contact us today to schedule a demo. Hello business owners! We all know that managing a business can be very challenging—especially the relentless administrative work. Plenty of businesses offer services to assist you with HR tasks but most can’t offer a comprehensive solution. The team at Baron Payroll has set out to expedite all your time and attendance tracking, scheduling, and compliance operations; all with our Baron Workforce Management Suite. Baron Workforce Management Suite is easy, innovative, and the tools work together seamlessly, making it the perfect solution. Let’s talk about some of the advantages of using our full suite. Baron Workforce Management Suite consists of Baron Time, Baron Scheduling, Baron Workforce Management Clock, and Baron Mobile. Baron Time handles all of the time and attendance tracking, Baron Scheduling takes care of scheduling, and Baron Workforce Management Clock makes clocking in and out easier than ever. Baron Mobile is the mobile app for anytime, anywhere access. Instead of using different systems to manage all these processes, or handling all of these tasks manually, Baron Workforce Management Suite can be your efficient, do-it-all solution. When you’re able to track and manage indispensable information with this kind of efficiency, you’ll quickly see the results. Baron Workforce Management Suite is your powerful and cost-effective Workforce Management answer. Call Baron Payroll today for a demo. Baron Payroll offers WorkforceHUB, the unified Human Resources portal that makes it easy to optimize the performance of your managers, employees, and company. WorkforceHUB includes Baron Time, Baron Scheduling, and Baron Mobile. We’ve just added onboarding, benefits enrollment, performance reviews, and employee engagement! WorkforceHUB is created for busy employers like you who need to streamline scheduling, automate time and attendance tracking, maintain regulatory compliance, and decrease labor costs. In every industry, employees are becoming more mobile. Cell phones, tablets, and smart watches make it easy to get work done anywhere. Internet-enabled devices are affordable and universal. We probably don’t realize how much we rely on them. Cloud-based software is replacing onsite applications. When business software is in the cloud—you are not limited by geography. Successful businesses leverage employee tech skills and universal access to keep everyone productive. Your employees are already using mobile devices to manage their personal lives. Think about it. With our phones, we call an Uber, buy movie tickets, and count our daily steps. Our TVs and home security systems are connected to the web. We connect to satellite radio stations from our vehicles. If your company is lagging behind, it’s time to catch up. Mobile workforce management systems have never been more affordable or innovative. What Do Mobile Workers Need? First, you need to identify your mobile employees. It’s pretty obvious that traveling salespeople and delivery drivers fall under this category. Also, service techs and employees who float from location to location. You may have off-site workers at a satellite office away from the corporate headquarters. Perhaps the remote location is a job site for the duration of the project. What about the employees that come to your office every day? Many of them are probably working at home periodically. Your employees may also attend trade shows or other events throughout the year. Bottom line; there are many types of mobile employees. You might not have a staff that is mobile 100% of the time. But you probably have some. 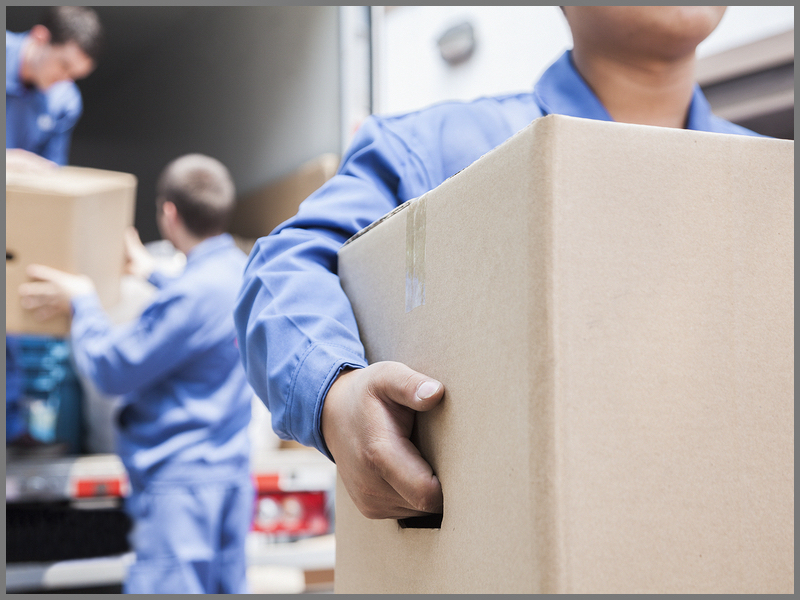 Mobile workforce management software can improve efficiency for any of these logistics. The more tools in your system, the more you can accomplish without connecting to a desktop. Here are 3 must-have features of a mobile workforce management system. Punch-in and punch-out is priority one. You can’t pay your team members accurately if you don’t track their hours. Time data connects to other useful tools. Intelligent clock features prevent common punching errors. Make sure your mobile WFM has an intelligent clock. They are aware of the “state” of the employee. For example, when an employee returns from an unpaid break, they are only given the option to end the break and get back on the clock. Built-in GPS certifies the physical location of the clock ins/outs. GPS location management can help you avoid costly buddy-punching. It also helps assure you have workers with the necessary qualifications where you need them. Job coding is a must-have feature. Job tracking matches employee hours to accounts or projects. This simplifies managing multiple clients when each is billed separately. It ensures that you bill your clients correctly. Employee time and attendance is at the heart of mobile WFM. Mobile scheduling is a game changer. It allows your staff to check their schedule on their cell phone. They don’t need to visit a specific terminal, call a manager, or look on a board in the break room. Scheduling allows managers to build schedules from templates. Your system should automatically alert employees to schedule changes. It should also let workers submit time off requests. When comparing systems, pay attention to these vital tools. If mobile employee timekeeping and scheduling are in place, you can hit a WFM grand slam. Your mobile WFM software should include a virtual shift swap board. An online shift trade exchange is a must for businesses with complicated schedules. It gives employees control in managing their schedules. Employees post shifts they want to trade. They can also bid on open shifts that become available. Managers can monitor and approve all shift trades. There are settings for overtime restriction, coverage gaps, and overstaffing. Contact Baron Payroll to learn more about mobile workforce management for your business. Baron Payroll offers WorkforceHUB, the unified Human Resources portal that makes it easy to optimize the performance of your supervisors, employees, and business. WorkforceHUB includes Baron Time, Baron Scheduling, and Baron Mobile. We’ve just added onboarding, benefits enrollment, performance reviews, and employee engagement! WorkforceHUB is created for busy employers like you who need to streamline scheduling, automate time and attendance tracking, maintain regulatory compliance, and lessen labor costs. There are 1,440 minutes in a day, and here at Baron Payroll we believe that none of those should be wasted! Running a business and managing associates is no small task and it can become problematic to make sure that your organization and employees are running smoothly 24/7. But that’s what we are here to help with! We will help you optimize the time of your managers, employees, and organization. Baron Payroll offers Baron Scheduling, the solution for making every second count. Baron Scheduling delivers convenient tools that all come together to give you and your employees the most efficient scheduler on the market. Set up a standard schedule for each team member, then just copy and paste it into each schedule period. From there, you can drag and drop shifts as much as you like, but you’ll already have the basic foundation established. It’s an easy way to expedite the scheduling process. If you are still using paper time sheets, a dry erase calendar, or an Excel spreadsheet, prepare to be amazed. Changing shift start and end times is as uncomplicated as pointing and clicking. Each staff member has only their own schedule to worry about—supervisors have everyone’s. It makes sense to share the burden of shift swapping. A worker who wants time off simply posts a request on the online message board. Managers can quickly see and approve the changes without having to track everyone down. Once a shift trade is approved, Baron Scheduling automatically alerts the affected employees. WorkforceHUB includes Baron Time, Baron Scheduling, and Baron Mobile. We’ve just added onboarding, benefits enrollment, performance reviews, and employee engagement! WorkforceHUB is designed for busy employers like you who need to streamline scheduling, automate time and attendance tracking, maintain regulatory compliance, and lessen labor costs. We can get you up and running with Baron Workforce Management Suite in minutes. Contact us today to set up a demo. Welcome to the Baron Payroll blog. Today’s post addresses restaurant scheduling best practices. 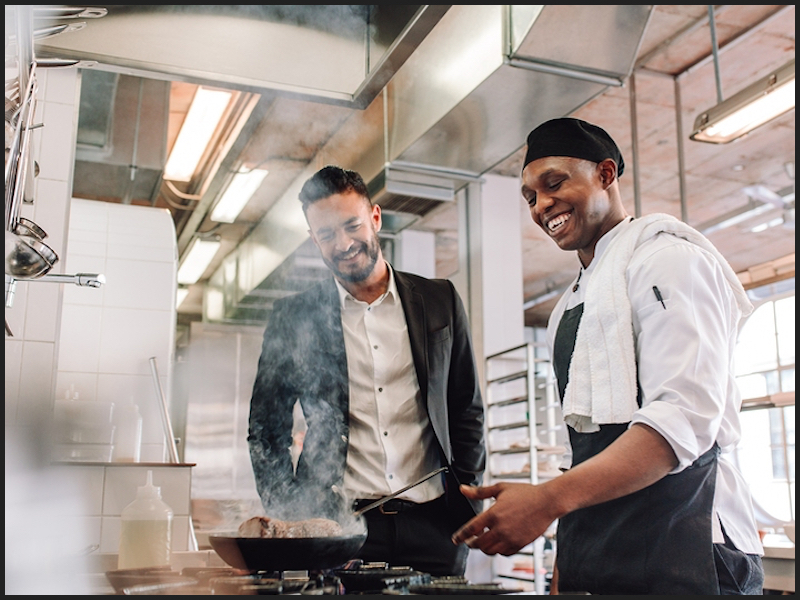 We have helped many restaurant owners improve and simplify their employee scheduling with Baron Scheduling, the leading scheduling system for the hospitality industry. If you make schedules available two weeks or more in advance, it demonstrates to your labor force that you care about their lives outside of work. The more notice you give, the easier it is for them to arrange childcare, schedule appointments, or take care of other obligations. It doesn’t cost you anything, but it goes a long way to inspire a dedicated crew. Even it some tweaking needs to be done after a schedule is created, you can have most shifts in place, especially if you have some associates with a set schedule. Predictive scheduling provisions are gaining momentum and may affect you sometime in the near future. If you have these practices already in place before you are obligated legally, you will be ahead of the game. Besides, it makes good business sense to establish a supportive work environment where employees are valued and respected. When you bring on a new employee, be upfront about the fact that servers have to bus tables once in a while and prep cooks have to sling dishes. 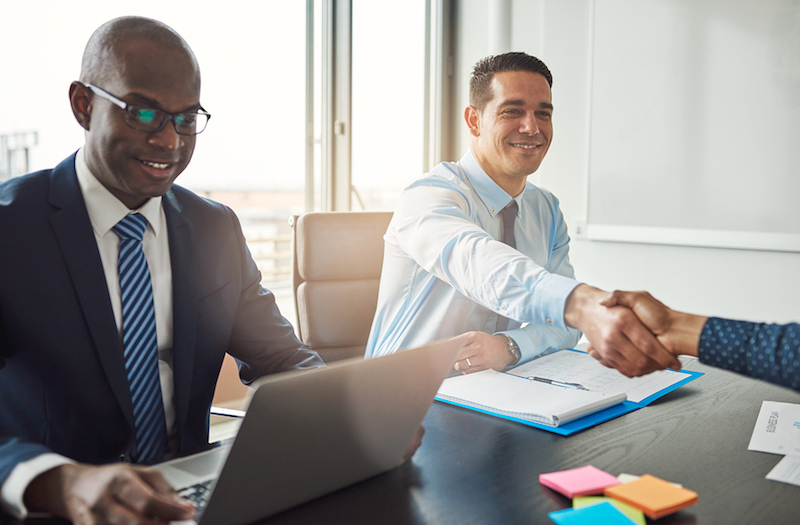 The entry-level staff members will be eager to broaden their job skills and your personnel will be better able to respond to shifting customer levels on the fly. If you hire competent employees, why does it matter if they trade shifts? Many restaurant owners who have loosened up shift trade policies have seen an increase in accountability because their workers don’t want to lose the privilege. When hiring staff, find out what shifts they want to work and how many hours they want to work per week. This sounds like an obvious issue, but you would be surprised at how many employers overlook these important questions and then are frustrated when all of their employees want the same shifts. When analyzing competing potential employees with similar qualifications, schedule preferences could be a deciding factor. If you are not the only one who makes schedules, develop rules for any supervisors or team leads who share the task. Use job codes to keep track of each employee’s skills and certifications and make sure you update them when required. Don’t assume the other schedule makers have the institutional knowledge you’ve acquired. Preserve useful information about schedule-making and other processes that have been refined over time. If you are serious about adopting these methods, you need Baron Scheduling, the most powerful Workforce Management system for the hospitality industry. Baron Scheduling has dedicated tools that simplify restaurant employee scheduling. Call Baron Payroll today for a demo. Baron Payroll offers WorkforceHUB, the unified Human Resources portal that makes it easy to optimize the performance of your managers, employees, and organization. We can get you up and running with Baron Workforce Management Suite in minutes. Contact us today to book a demo. Budgets for public school districts are tighter than ever. Administrators, teachers, and support staff have to do so much with so little. Educational institutions that are still using manual time and attendance tracking operations can take a lesson from businesses that invest in the latest technology and streamline processes to save money in the long run. A lot of money. 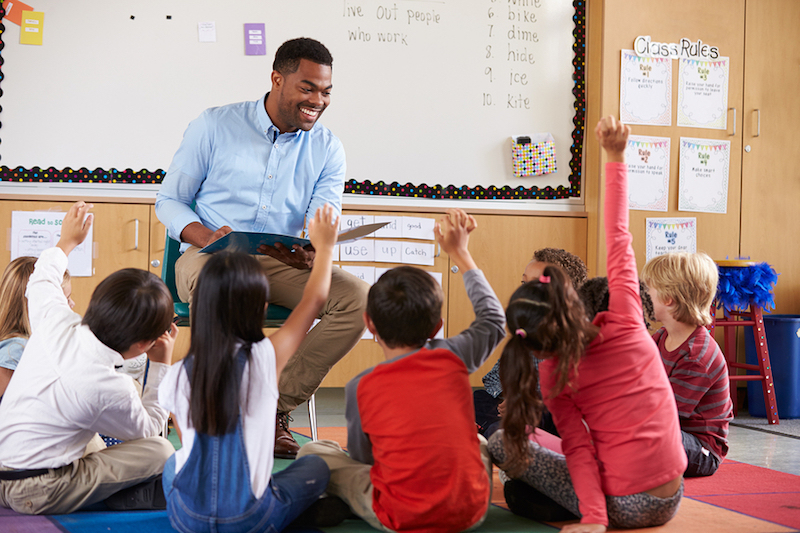 With recent tools that dramatically streamline educational administration, Baron Workforce Management Suite’s Baron Time and Baron Scheduling have user-friendly tools that are tailor-made for educators. Baron Scheduling is our powerful automated tool that makes scheduling a breeze. Features like copy and paste templates and drag and drop scheduling allow you to create and adjust schedules in a fraction of the time it takes with manual operations. Text and Email Collaboration takes the confusion out of last-minute faculty schedule updates. Baron Time pairs perfectly with Baron Scheduling. Baron Time and Baron Mobile contain time and attendance tracking features that allow you to manage your staff more efficiently than ever before. Baron Workforce Management Clock enables employees to clock in and out, check their schedules and manage their time cards from the convenience of any web browser. Baron Payroll offers Baron Workforce Management Suite, the powerful, fully-integrated Workforce Management Suite that makes it easy to optimize the performance of your managers, employees, and organization. Baron Workforce Management Suite includes Baron Time, Baron Scheduling, and Baron Mobile. Baron Workforce Management Suite is designed for busy employers like you who need to streamline scheduling, automate time and attendance tracking, maintain regulatory compliance, and decrease labor costs. Today’s article is for small-medium-sized manufacturers whose manual scheduling processes are not doing the job. In addition, workers need to go through a manager or HR department to obtain schedule, time card, and PTO information and it is cumbersome for associates to submit and obtain shift change approvals. Imagine if your production equipment was this outdated, ineffective, and inefficient. Deep-rooted problems that affect every level of the organization require a powerful yet easy-to-implement solution. Baron Workforce Management Suite from Baron Payroll has tools to transform employee scheduling at manufacturing facilities. Baron Workforce Management Suite includes Baron Scheduling which offers expedited scheduling and Baron Time for integrated time and attendance tracking. Baron Workforce Management Suite is the industry-leading customizable scheduling system for manufacturing facilities that run 24/7. Baron Payroll offers Baron Workforce Management Suite, the powerful, fully-integrated Workforce Management Suite that makes it easy to optimize the performance of your managers, employees, and company. Baron Workforce Management Suite includes Baron Time, Baron Scheduling, and Baron Mobile. Baron Workforce Management Suite is designed for busy employers like you who need to streamline scheduling, automate time and attendance tracking, maintain regulatory compliance, and reduce labor costs. Despite a couple of high-profile companies recently pulling their offsite workers back to the office, the global trend of increased telecommuting is not slowing down. While companies who allow telecommuting often benefit from decreased operating expenses, increased productivity, an expanded hiring pool, and happier employees, virtual offices can create challenges when it comes to Workforce Management. 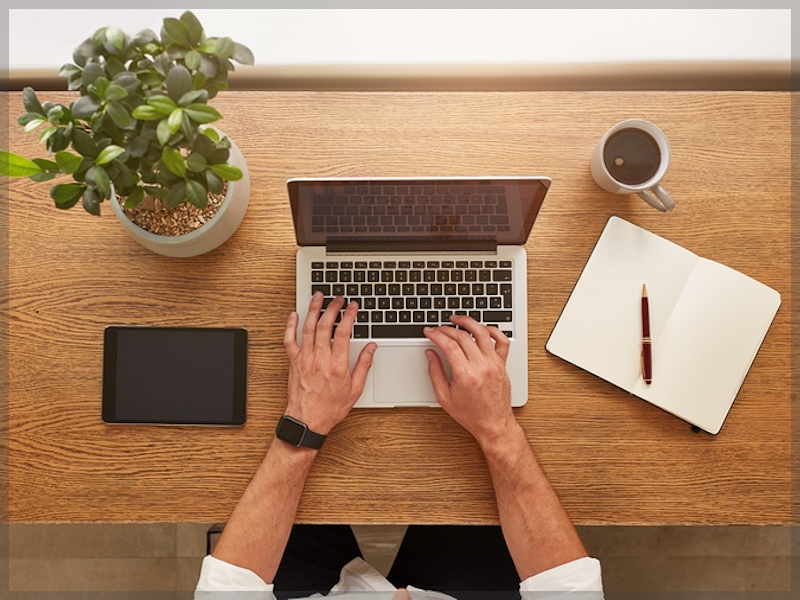 Telecommuting is made possible by technology that allows companies to provide their products or services to clients using a remote workforce. In addition, employees use technology to communicate, collaborate on projects, and interact with customers. In a similar way, Baron Workforce Management Suite brings industry-leading smart technology that makes Workforce Management easy for remote employees. Baron Workforce Management Suite is the comprehensive Workforce Management system from Baron Payroll. It consists of Baron Time for onsite and offsite employee time and attendance and Baron Scheduling for scheduling both in-office and offsite workers. Let’s look at the tools that address the pain points previously listed. Remote employees can clock into the Baron Time virtual time clock from their laptop, tablet, or mobile phone. Supervisors have 24/7 oversight of who is working when and where. Contrary to a common misconception, tracking time and attendance is just as important for salaried workers as it is for hourly employees. Most labor laws apply to both hourly and salaried employees, thus business owners must have accurate records of clock in/out times, breaks, and meals. Accruals calculation, overtime pay compliance for non-exempt employees, and ACA work hours standards are just a few of the reasons that employers must track employee time and attendance accurately for all workers, regardless of how they are compensated. In addition, they need a paper trail to validate the records in case of an audit or labor dispute. Baron Scheduling is the least complicated way to effectively schedule telecommuters. One of the most valued employee perks of telecommuting is flexible work hours (when allowed by management). For most organizations, however, it is usually necessary for team members to be online at the same time for at least a few hours during the day. This can be challenging if employees are spread among different time zones. Baron Scheduling has tools to manage all the complicated logistics of remote team scheduling. With centralized cloud-based schedule management, hours threshold SMS warnings, and automatic schedule notifications, Baron Scheduling has the tools to manage your workforce with ease. When schedules are centrally managed in a cloud-based system, supervisors and at-home workers are all on the same page and can access the information at any time. Automatic notices inform all necessary parties of critical scheduling and time card information. Baron Time provides self-service time cards that employees can access 24/7 from any internet-enabled device. Remote staff members can enter time and verify time cards under customizable company rules. When they clock in or out, the time is captured immediately on their virtual time card. This eliminates the end-of-pay-period scramble that often results from outdated and non-automated old school manual timekeeping systems. Baron Scheduling has a Virtual Trade board that allows telecommuters to bid on open shifts, request shift trades, and view approvals without having to talk to a manager. Employees and supervisors don’t have to exchange endless texts and emails to work out schedule changes. All stakeholders can see the schedule and updates at any time, night or day. “Out of sight, out of mind” is expensive when it comes to needless overtime and can also result in employee burnout, higher attrition, and reduced productivity—all of which are pricey in their own right. Baron Time overtime alerts allow businesses with a virtual office to meet their scheduling, workflow, and cost of labor objectives with smart automation that allows supervisors to concentrate on other things besides managing overtime. Employees who work from home don’t always use the same hardware and software that is used at the corporate office. Because Baron Workforce Management Suite is cloud-based, it functions seamlessly on desktops, laptops, iOS and Android devices. It also eliminates the need for expensive software upgrades. Baron Workforce Management Suite includes Baron Time, Baron Scheduling, and Baron Mobile. Baron Workforce Management Suite is developed for busy employers like you who need to streamline scheduling, automate time and attendance tracking, maintain regulatory compliance, and lessen labor costs. Today’s post is for business owners who have recently decided to adopt a Workforce Management system but have not yet implemented it. By following a few guidelines, you can have a smooth system implementation and begin to enjoy the benefits right away. Here is the Baron Payroll guide to Workforce Management implementation. We can help you develop a realistic timetable for the transition and decide which processes to transition first. Take advantage of our experience in helping businesses like yours transition quickly and effortlessly. If your company has several departments, you may want to tackle it in stages. Once one department has successfully transitioned to all the new functions, you will have solved a few unexpected snags. You can use the knowledge gained to prevent the same snags when the next department transitions. It’s natural for associates to worry that a new system could impact their pay or add a layer of complication to their busy day. If managers can prepare employees so they know how the new systems will benefit them, they will be more likely to comply willingly. Emphasize the transparency and convenience of self-service time cards and having 24/7 access to accrual information. Demonstrate how the virtual trade board can make it easy to pick up extra shifts or swap shifts when needed. Baron Workforce Management Suite is so easy to use, we have never had a client whose employees couldn’t catch on quickly. Even if your labor force is tech-savvy, however, make sure you train thoroughly, measure the effectiveness, and then remind them to use the system continually until everyone is on board. You can’t take advantage of the many features of Baron Workforce Management Suite unless they are being used consistently and correctly. If you are adopting a biometric time clock and an employee is especially resistant, be aware that this might be an indication that he or she is guilty of time theft. Compare the hours worked before and after using the new clock for insight. If you discover a compelling drop in hours—congratulations—you have finally stopped paying for time not actually worked! Make sure you are available to answer questions about the new system. If your team members see that you are dedicated to alleviating concerns, they will be more likely to support you. However, don’t go so far as to make the new practices optional. Some businesses have failed to implement a new system because they got so much resistance from their workforce they eventually gave up. Lowering labor costs, reducing admin hassles, and improving productivity will benefit everyone in your organization. Don’t let staff member resistance deter you. Ideally, all of your team managers will soon be committed to the new system and become fully fluent in all of the features. However, by assigning a competent and dedicated person to own the project company-wide, you can centralize the implementation-specific communication and training and count on your point person to make sure each department sticks with it until all departments and systems are transitioned. We are dedicated to your success. Let the Workforce Management experts at Baron Payroll help you start enjoying the myriad benefits Baron Workforce Management Suite provides. Business owners: have you noticed that many organizations are implementing some sort of Workforce Management software? Perhaps organizations that you work closely with, companies that you have partnered with, or even competitors’ organizations. If you do not yet use a Workforce Management system and have been too busy to look into them, you may be wondering why “Workforce Management” has become a buzzword. At Baron Payroll, we are uniquely qualified to explain because we offer the most advanced Workforce Management software on the market. Workforce Management systems are meant to simplify how your business manages staff members. But beware, some Workforce Management systems are confusing and difficult to use, which defeats the whole purpose. With our Baron Workforce Management Suite we’ve created the most powerful yet simple-to-use tools to help you transform your processes. Administrative tasks like scheduling, clocking in and out, and tracking essential information are easier than ever with our Workforce Management software. The time saved frees up your administrative staff to accomplish more with fewer people. Another vital advantage that Baron Workforce Management Suite gives to organizations is the ability to cut labor costs. When you’re able to smoothly track what your employees are doing and when and where they are doing it, you can maximize productivity, limit overtime, and develop effective scheduling strategies. Baron Workforce Management Suite also helps reduce time card errors. For example, our Baron Workforce Management Clock has PunchLogic, which doesn’t allow employees to unwittingly clock into the wrong activity. Fewer errors translates to less time sorting them out after the fact. The last benefit we’ll talk about today is the fact that our Workforce Management software assists you in staying compliant with ACA, DOL, state, and local regulations. Most regulations require you to collect, review, and submit information that pertains to your staff members and their hours worked. Regulators want this information to be accurate and submitted in a timely fashion. With Baron Workforce Management Suite, our automated tools collect the information for you and generate reports at the click of a mouse. Our platform is fully integrated, so your data keeps its accuracy from one tool to another. Hassle-free compliance gives you peace of mind so you can concentrate on building your business. Baron Payroll offers Baron Workforce Management Suite, the powerful, fully-integrated Workforce Management Suite that makes it easy to optimize the performance of your managers, employees, and business. Baron Workforce Management Suite includes Baron Time, Baron Scheduling, and Baron Mobile. Baron Workforce Management Suite is established for busy employers like you who need to streamline scheduling, automate time and attendance tracking, maintain regulatory compliance, and lessen labor costs.